A perfect gift for Raw Chocolate Lovers. This gift set includes four of our most popular raw chocolate goodies presented in stylish organza bag. Spiced: A sumptuous winter hot chocolate recipe hand blended with warming spices. Carefully balanced combination of cinnamon, nutmeg and vanilla delivers hints of winter and sitting round a fire. 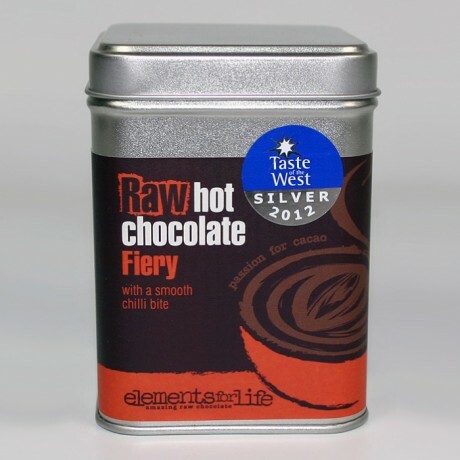 Fiery: Raw hot chocolate with a Wiltshire chilli kick. 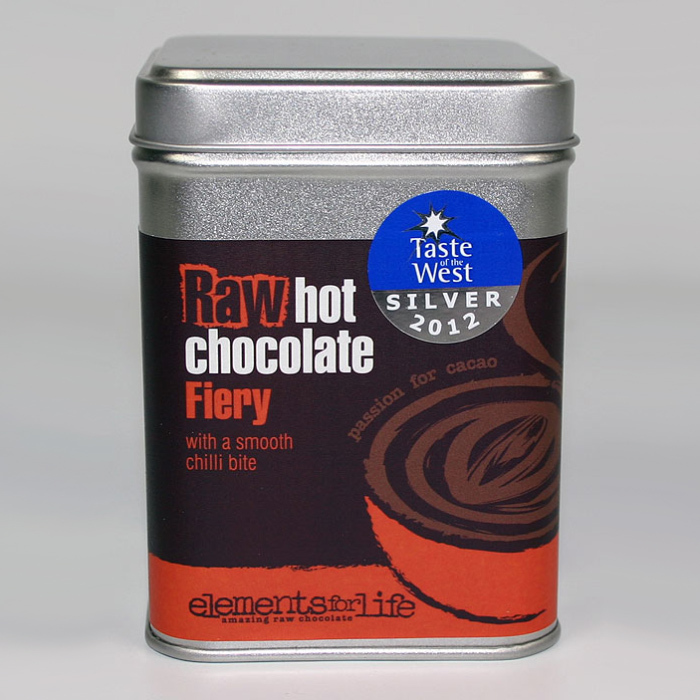 First delight in the rich raw chocolate flavours, with the warmth of the chilli kick following through slightly after. There's enough chilli in to really taste it without overpowering the cacao. 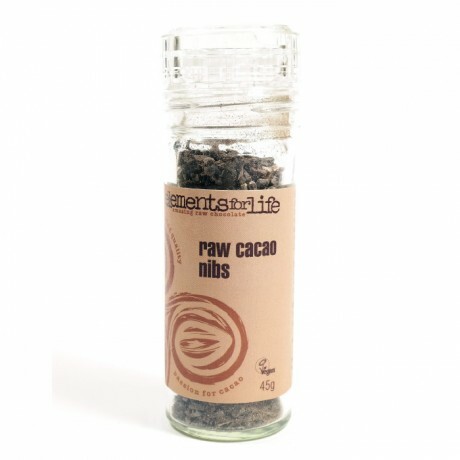 Raw cacao powder (50%), Coconut palm sugar, Vanilla, Cinnamon, Nutmeg. Raw cacao powder (50%), Coconut palm sugar, Jamaican red chilli. Peruvian Criollo Raw Cacao Butter & Powder & Nibs*, Dates*, Walnuts*, Natural Fruit Extracts (apples, grapes & carob), Raisins*, Brazil Nuts*, Goji Berries. This makes a lovely cup of hot chocolate. I was delighted to get a hot chocolate dairy free as I've not long found out I'm allergic to dairy. 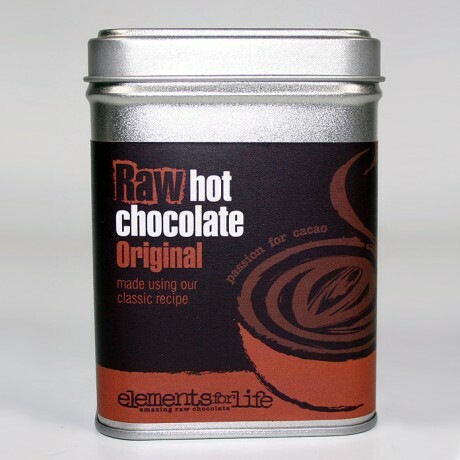 My sister came to stay, bringing a tin of spiced raw hot chocolate powder with her - after 1 mug of hot choc made using it I am hooked. All of the flavour (and more), with none of the sugar high or sickly sweetness that you get from regular hot chocolate. 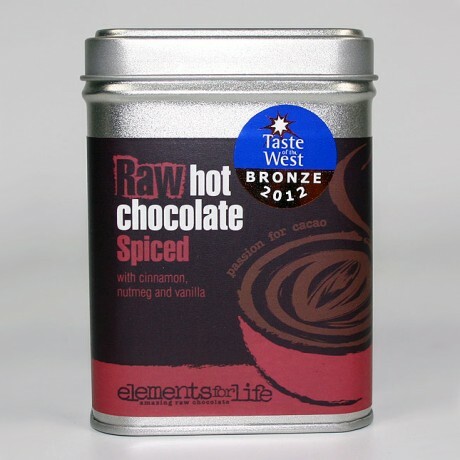 Although it is called spiced, the flavour is not overly spicy - more just chocolatey, with a bit of a twist. It is not hot spicy at all, just super tasty! Fantastic fun for the whole family... everyone made their own version with different flavours and combinations of ingredients. Wonderful and healthy too! Thank you. This is an amazing brownie. I love Yummy Scrummy and have re-ordered more often than I can recall. I only have good things to say about it! I try to eat less of it by buying it in bulk and freezing small squares of it but just end up eating 2 or 3 a day. Oh well..there are far worse things to be addicted to! CAN'T BELIEVE IT WAS SO EASY TO MAKE CHOCOLATE! I have always avoided making my own chocolates as I assumed it was really tricky. I have also been recently diagnosed as sugar & dairy intolerant, so I assumed that I wouldn't be able to eat chocolates any more. How wrong I was! I spotted the kit at my local independent health food shop and once I realised it only had 3 ingredients, all of which I could eat, I grabbed it immediately. A couple of hours later and we were eating scrummy home made chocolates. I've since made a peppermint batch and they were stunning too. I can't wait to have a go at some other flavours. If you've never made chocolates, this is the kit for you! This product is dispatched by Elements for Life. This item has a shipping weight of between 400g and 400g depending on the options selected. Specialist in hand-made award winning raw chocolate.